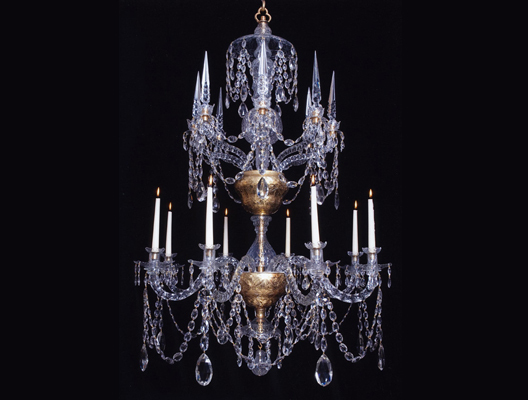 A fine 18th century Continental cut-glass chandelier for eight lights, the multi-baluster stem unusually including two internally gilded containers. 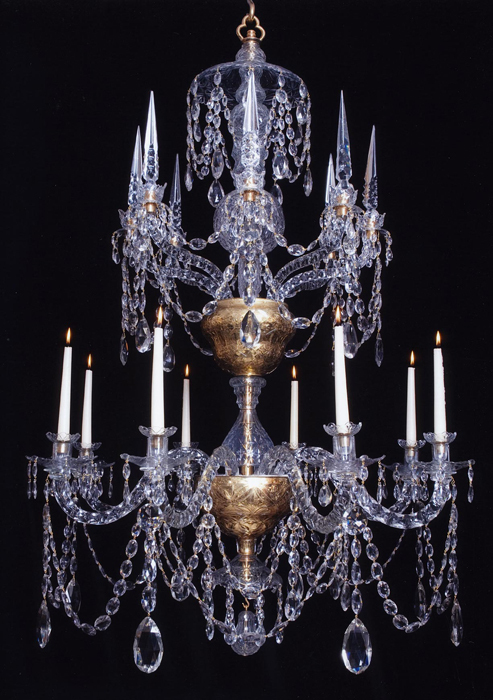 From the lower container issue the candle arms with drip-pans and savels and from the upper one issue kick arms with canopies and spires, the stem terminating with a drop hung canopy above kick arms and small canopy and finial at the base of the chandelier. All component parts are flat-cut throughout and all hung with oval and pear-shaped drops. Height 58in (147.3cm). Diameter 38in (96.5cm).